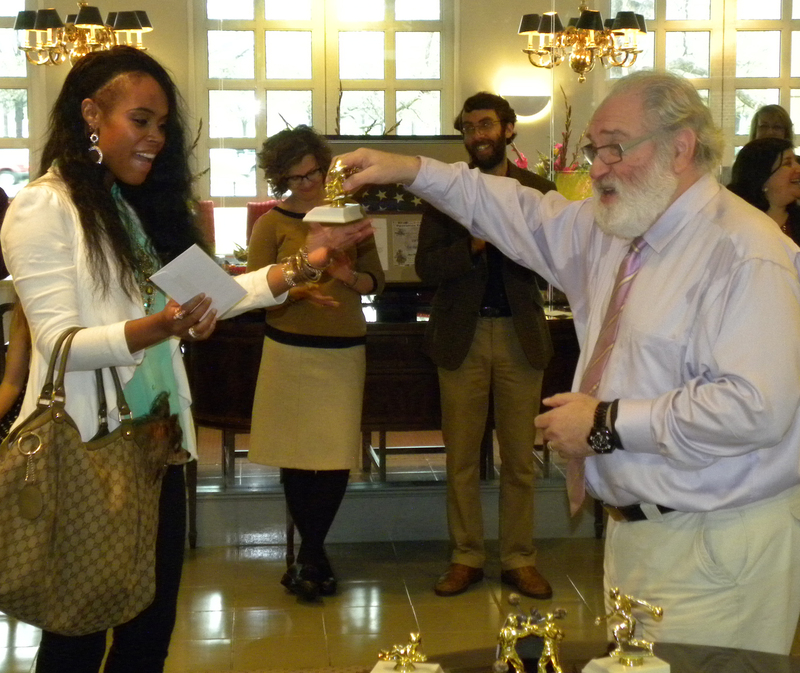 This past Friday, 4 April 2014, the Department of Religious Studies hosted its thirteenth Honors Day ceremony. Due to the weather, we had to move the ceremony from its usual venue on the 2nd floor balcony of Manly Hall to Alumni Hall–special thanks to them! 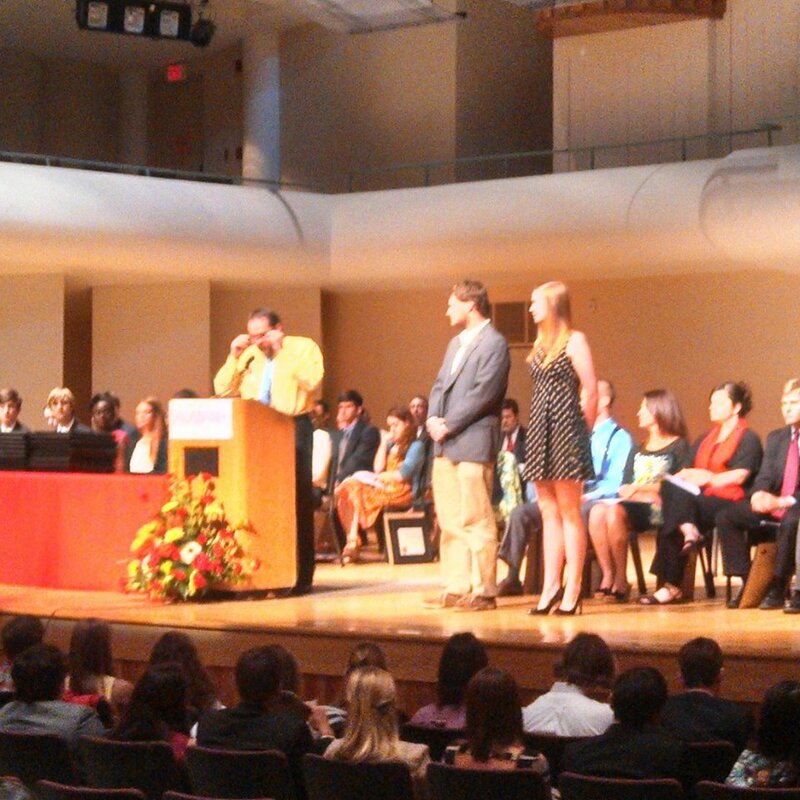 Our event began after the Arts & Sciences Honors Day Convocation in Moody Music Hall where Prof. Russell McCutcheon (Chair of REL) recognized Outstanding Student Jared Powell and Silverstein Scholar Maggie Paul (pictured above, left to right) on behalf of our 16 award winners this year. 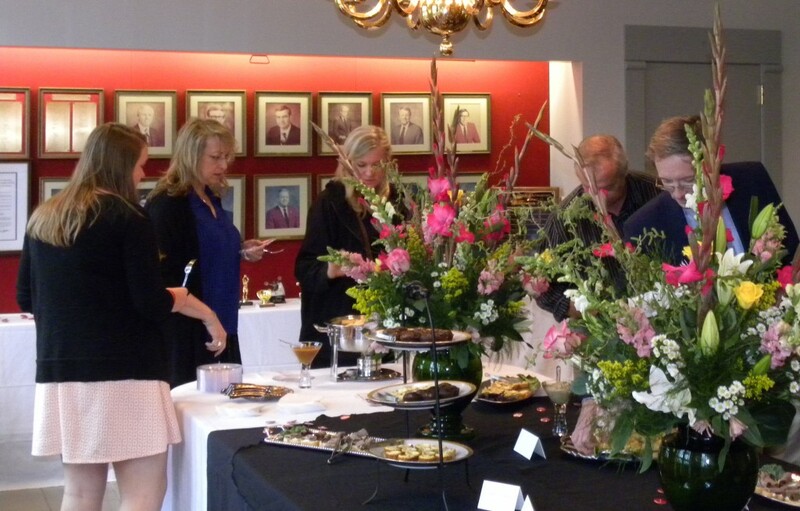 Before the award presentation, students, their families, and the Department faculty ate lunch and mingled, allowing the students’ families to meet the folks their kids have been talking about all year. 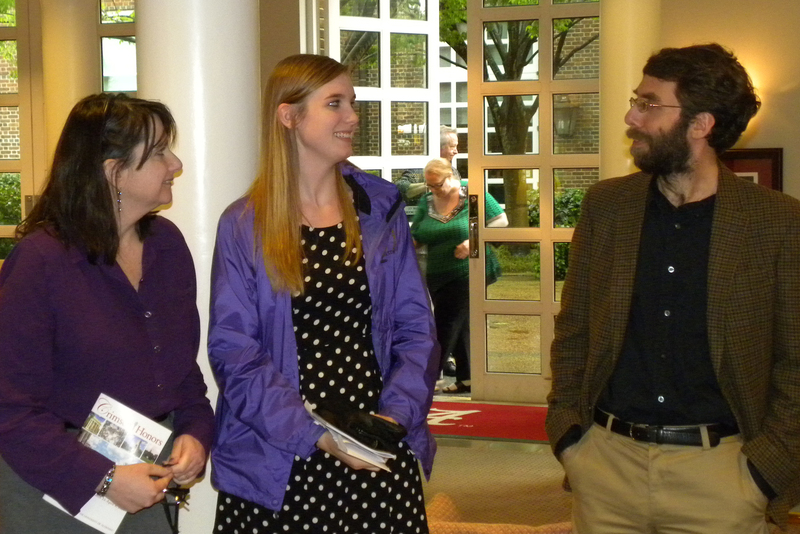 Prof. Steven Ramey talking with Silverstein Scholar Maggie Paul (center) and her mother (left). 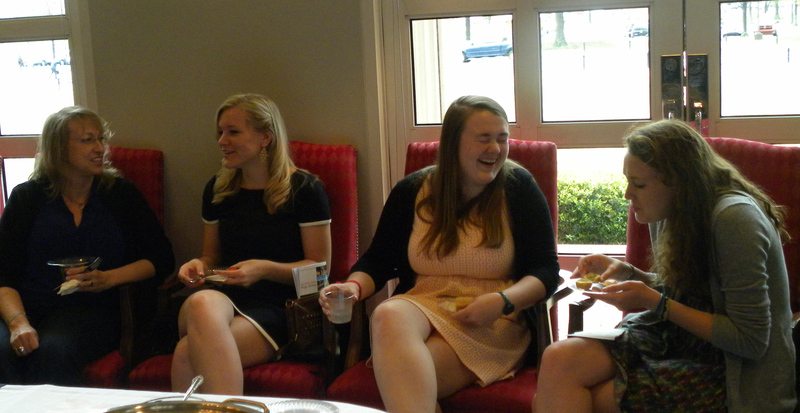 Our Silverstein Scholars and family (left to right) Allie Rash’s friend, REL majors Allie Rash, Caitlyn McMahan, and Liz Long are all smiles at this year’s Honors Day! 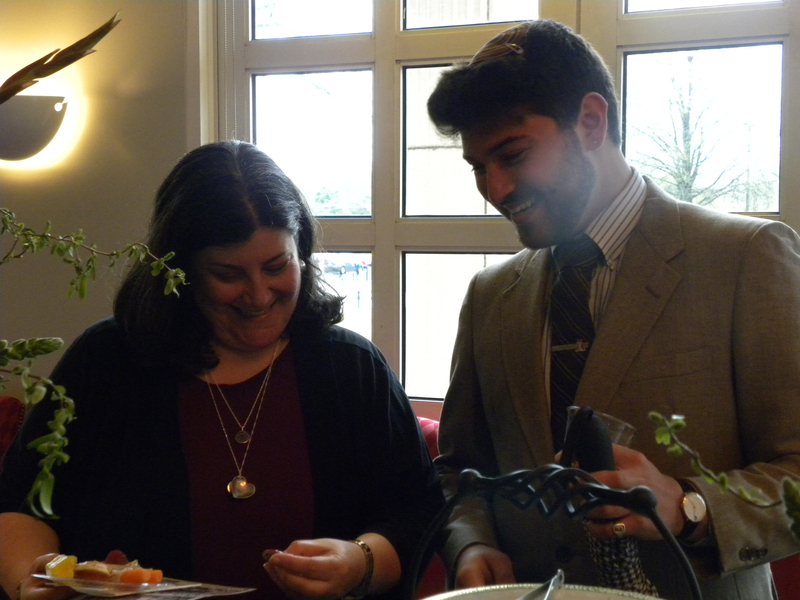 REL major and Silverstein Scholar Ben Flax pictured with his mother. 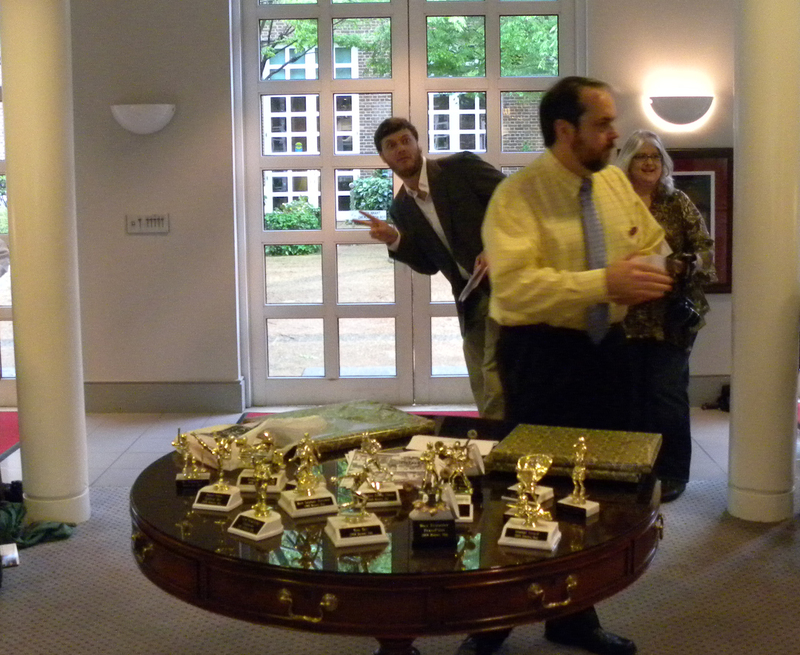 Now the moment you’ve been waiting for… Everyone gathered around the main lobby in Alumni Hall as Prof. Russell McCutcheon kicked off the ceremony with a few words, … but not before he was photobombed by Jared! 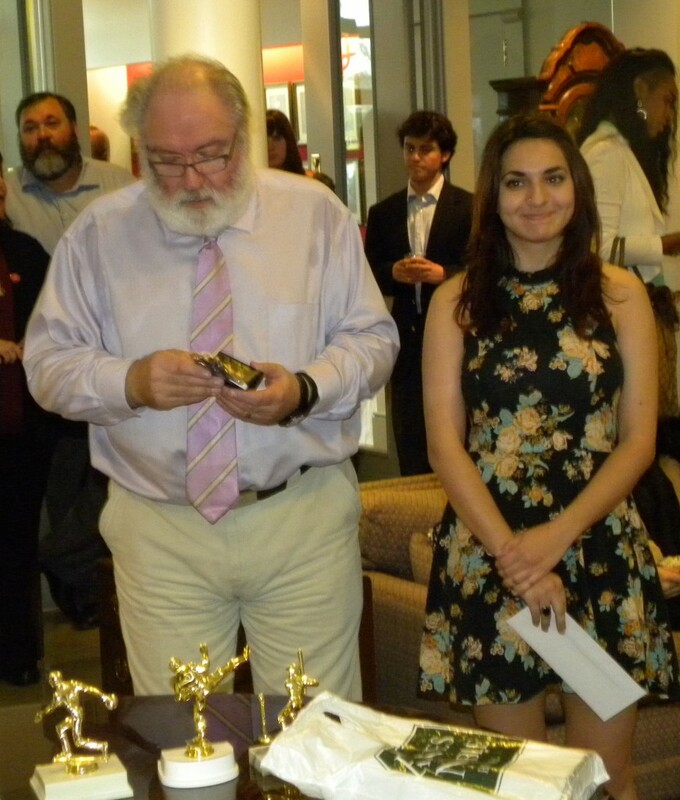 Pictured left to right: REL Major Mark Ortiz and his parents, Prof. Sarah Rollens, REL major and RSSA President Lexi Poston, and REL major Nicole Stewart (far right) with her friend. 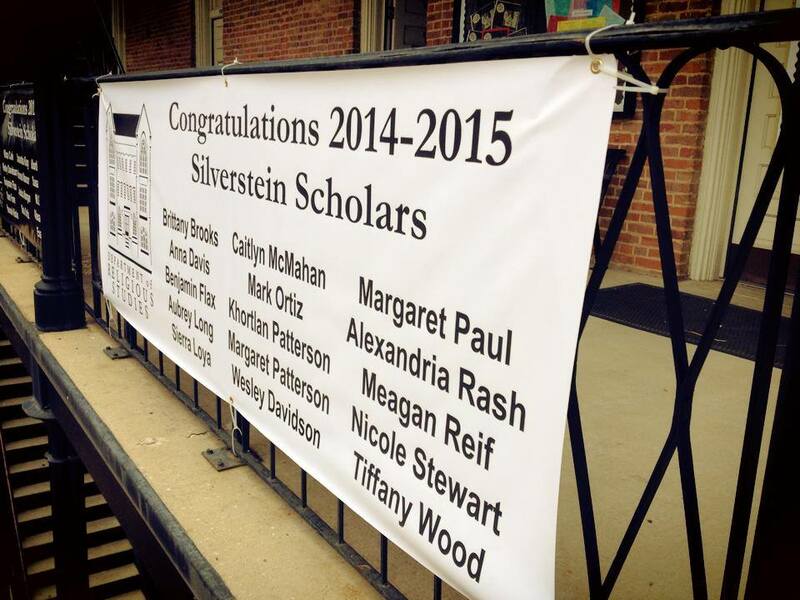 Prof. Steve Jacobs announced the recipients of this year’s Silverstein Scholarship. 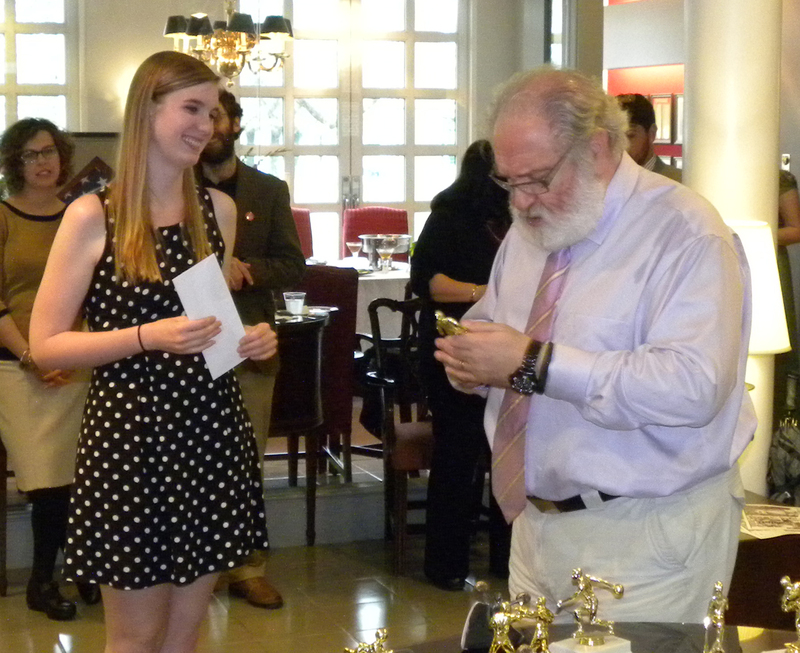 Along with the scholarship, each student received a trophy highlighting some of their extracurricular accomplishments such as Miss Montana, 1st Place in Pairs Ice Dancing, Furst Place Speling Bee, and 8th Place among others. 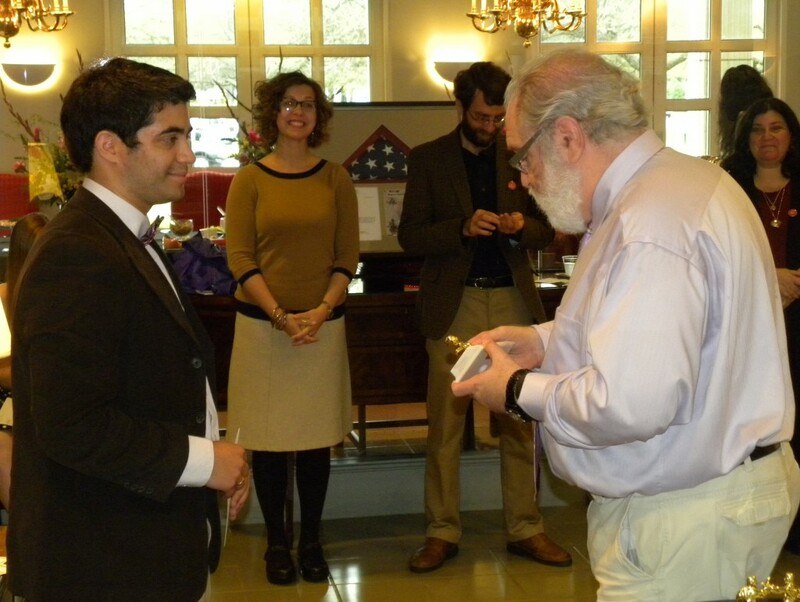 Then Prof. Jacobs announced Jared Powell as this year’s Outstanding Student in the Academic Study of Religion. 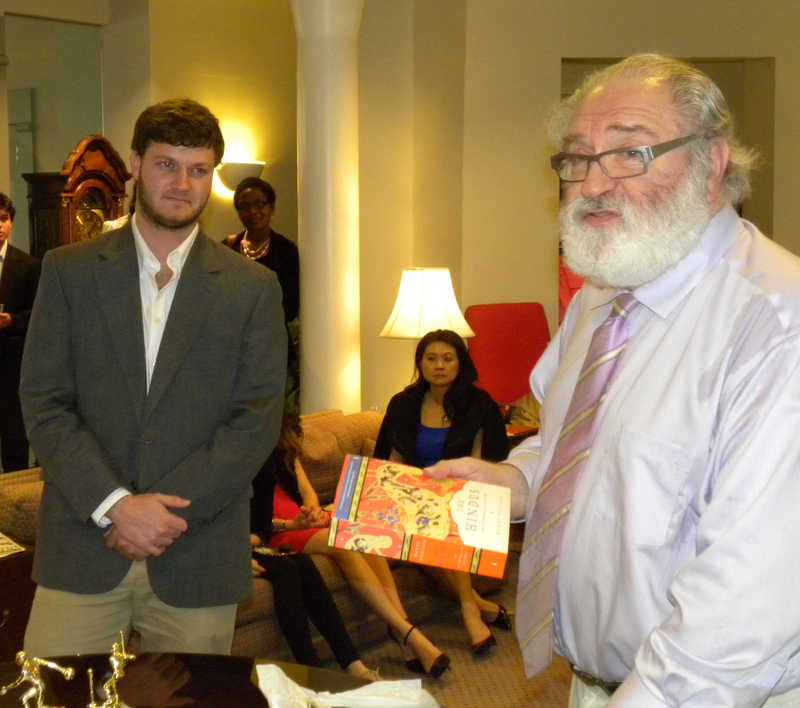 In addition to his award, Jared received the most controversial book in the field right now, Wendy Doniger’s The Hindus: An Alternative History, which was signed by the department faculty and staff. 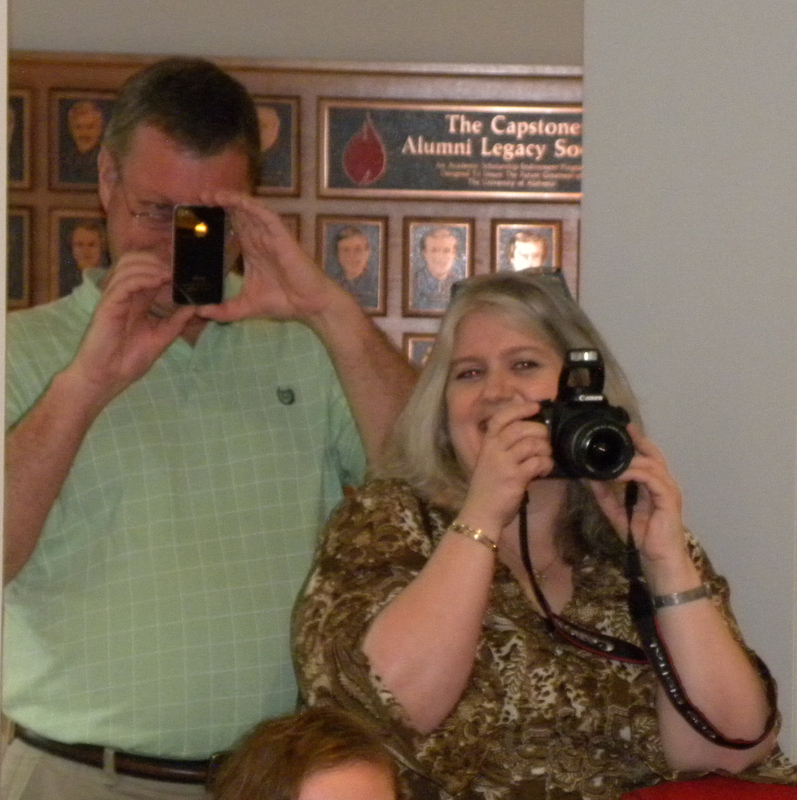 Proud Powell parents were caught in photographic action! 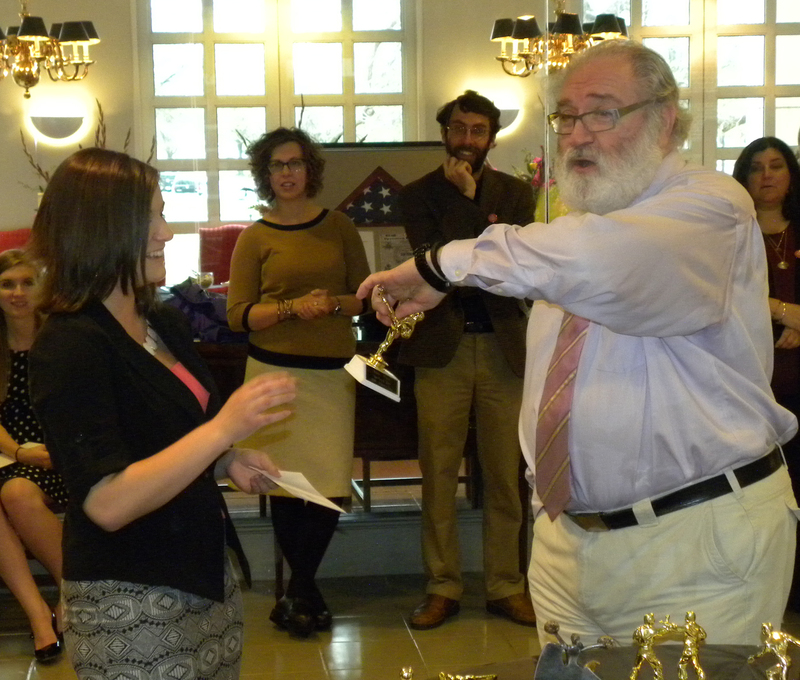 After the main awards were distributed, the Department had a few others to give out. 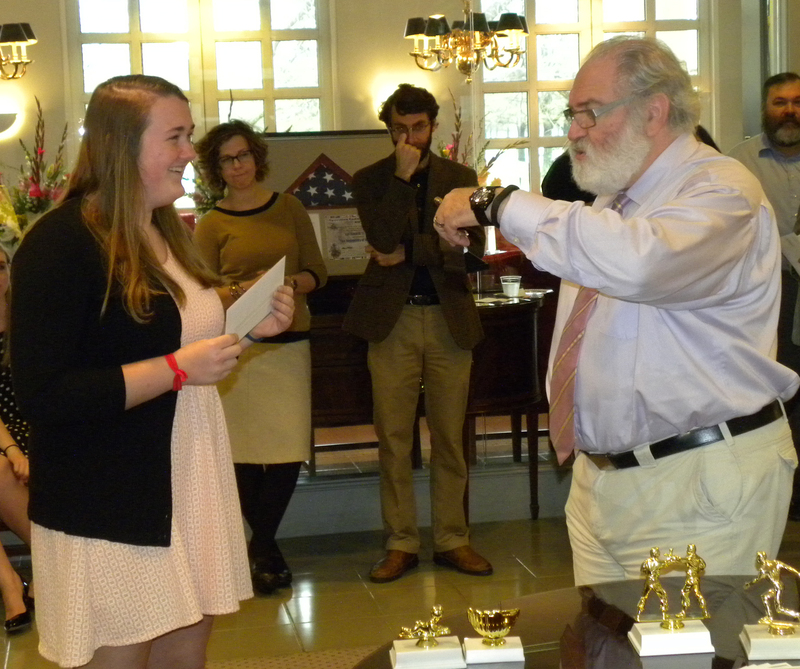 Prof. Eleanor Finnegan, faculty advisor to the Religious Studies Student Association, presented framed photos of each of the student officers to them. Needless to say, they came with some pretty awesome frames. 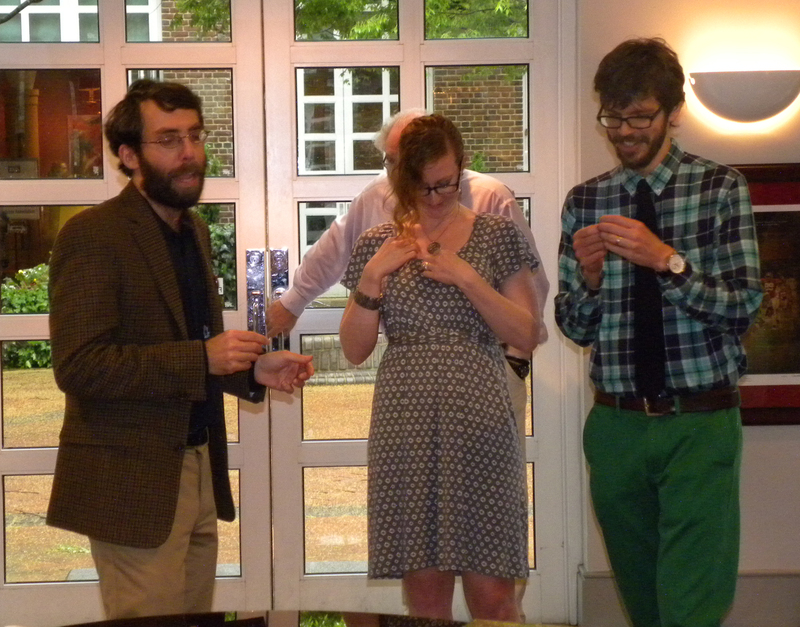 Below is Ben Flax, Silverstein Scholar and RSSA Vice President, receiving his glitterific framed photo. 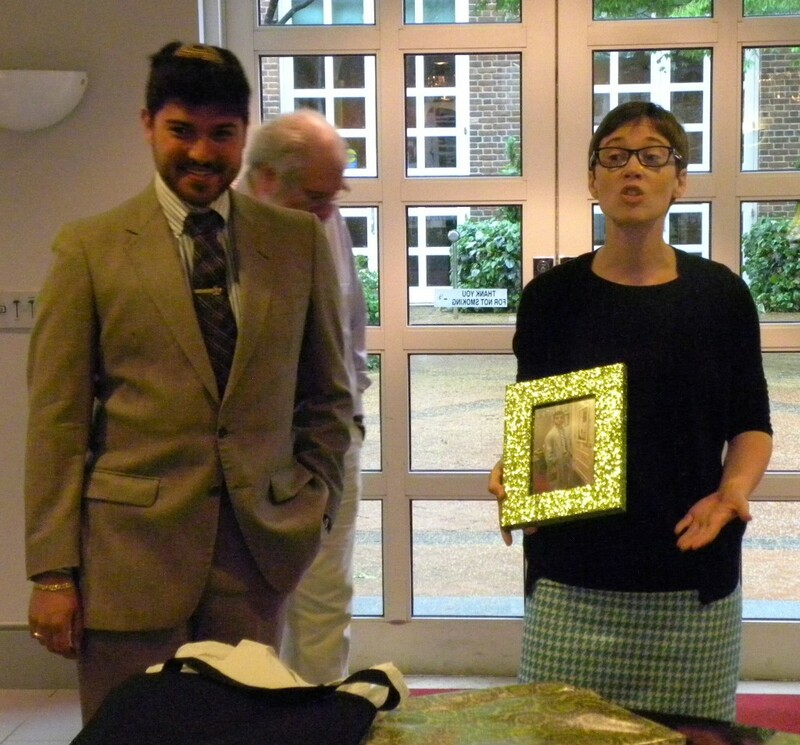 Prof. Eleanor Finnegan presents a photo of Ben dressed as “the Dude” from the Big Lebowski from one of the RSSA movie nights. 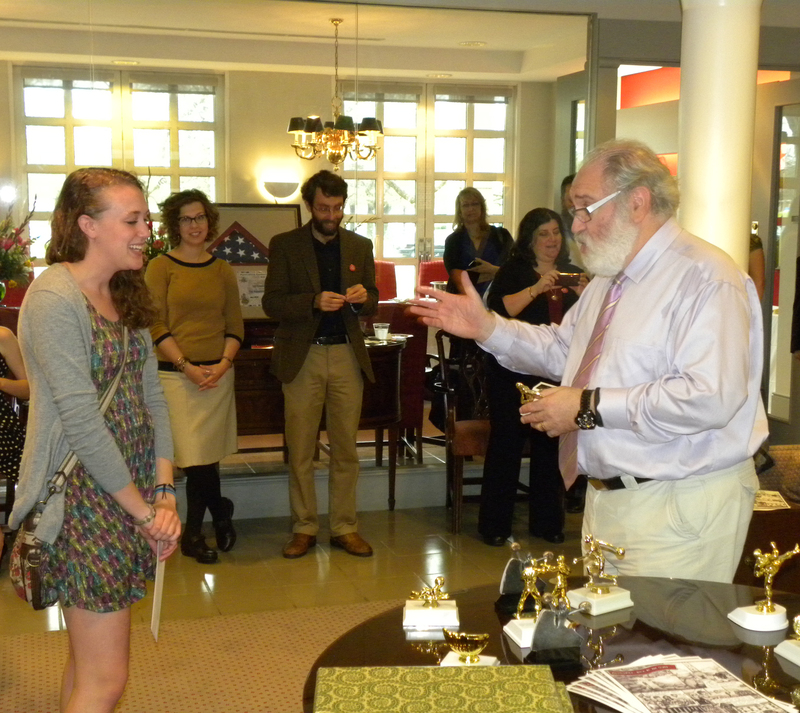 Then Prof. Steven Ramey presented a framed photo and pin to our instructors this year, Profs. 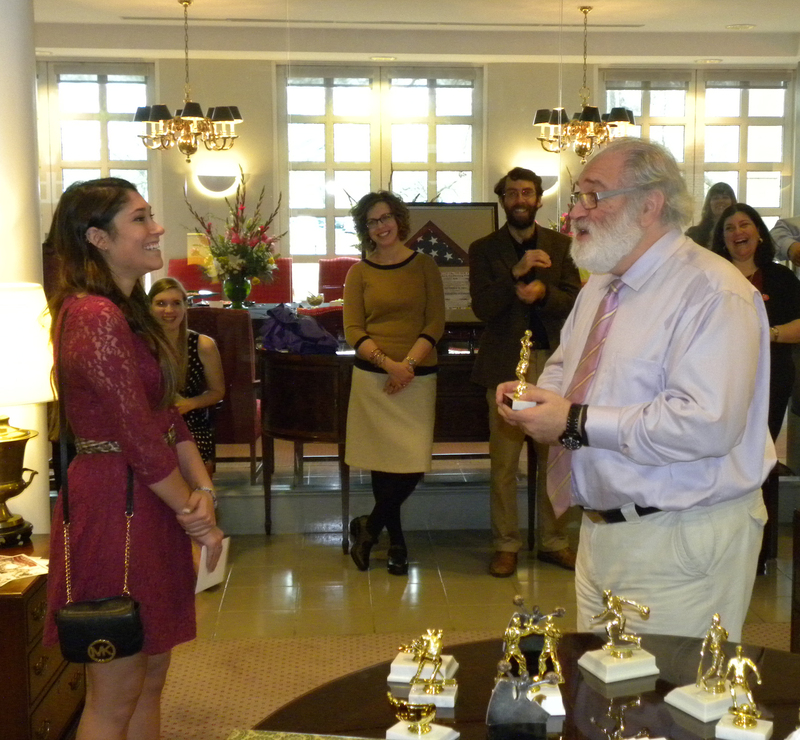 Sarah Rollens and Mike Altman as a thank you for the work they’ve done, not only in the classroom but also with all of our Departmental and RSSA events. All in all it was a fantastic ceremony. 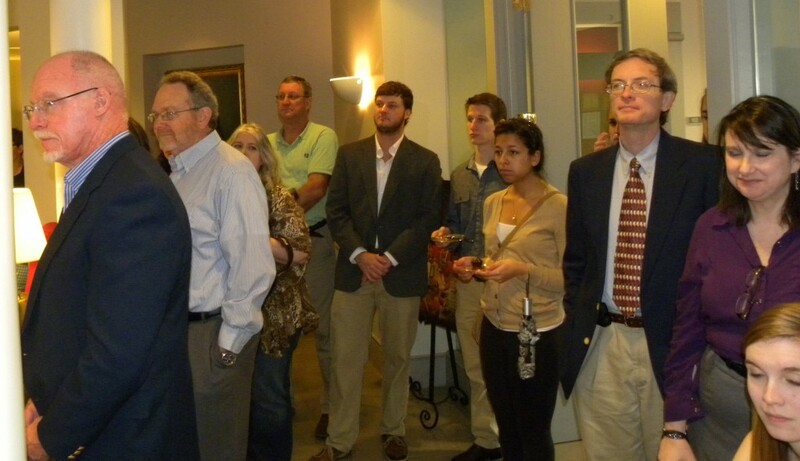 Thanks again to Alumni Hall for letting us use the main lobby as our venue. 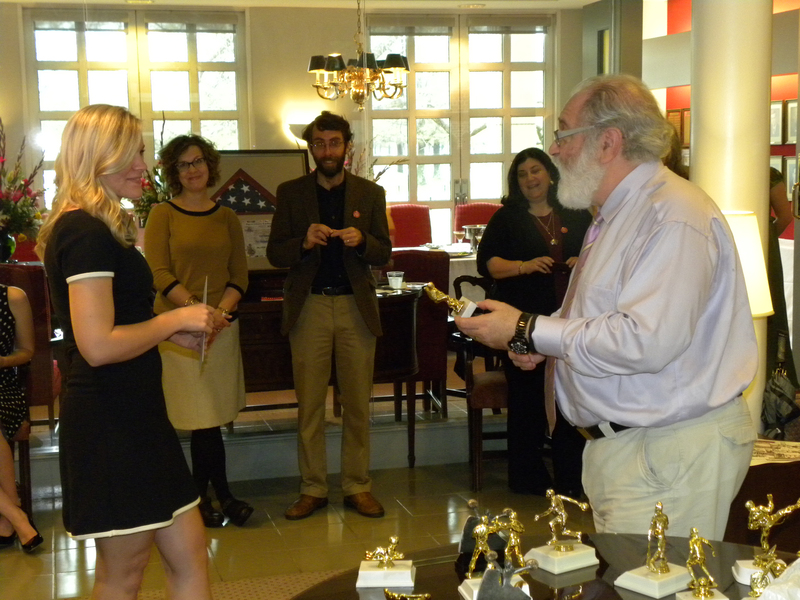 And a big thanks to Betty Dickey, Donna Martin, and Andie Alexander, without whom none of this would be possible. This entry was posted in Faculty Blog, Public Events and tagged Department of Religious Studies, Honors Day, Silverstein Scholarship by Andie Alexander. Bookmark the permalink. 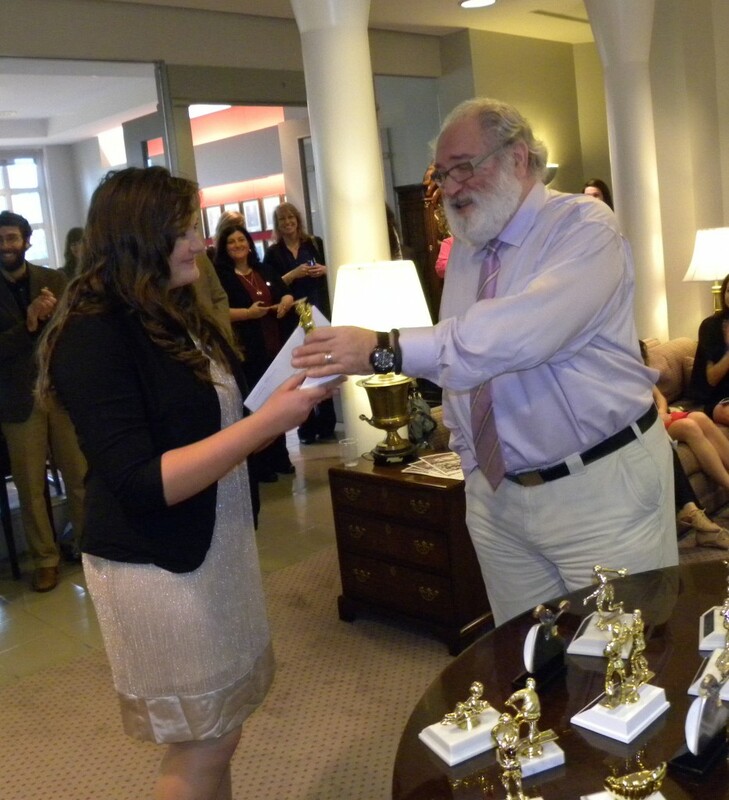 Andie Alexander, who earned her B.A. in Religious Studies and History in December 2012, is pursuing her Ph.D. in American Religious Cultures at Emory University. She also works as the online Curator for the Culture on the Edge blog. Congratulations are in store, especially for Russell, in leading what looks like a very lively department. I think any student at UA would be attracted to such a special situation. 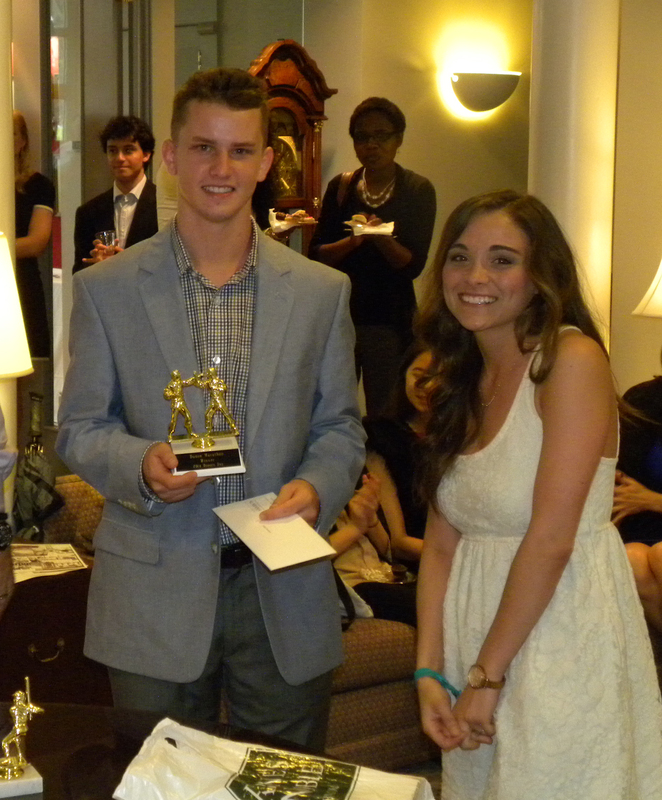 The spoof awards say a lot about the good vibes that you look like you have created there. Well done! I mean that sincerely.